Women and men speak at TEDxWomen. 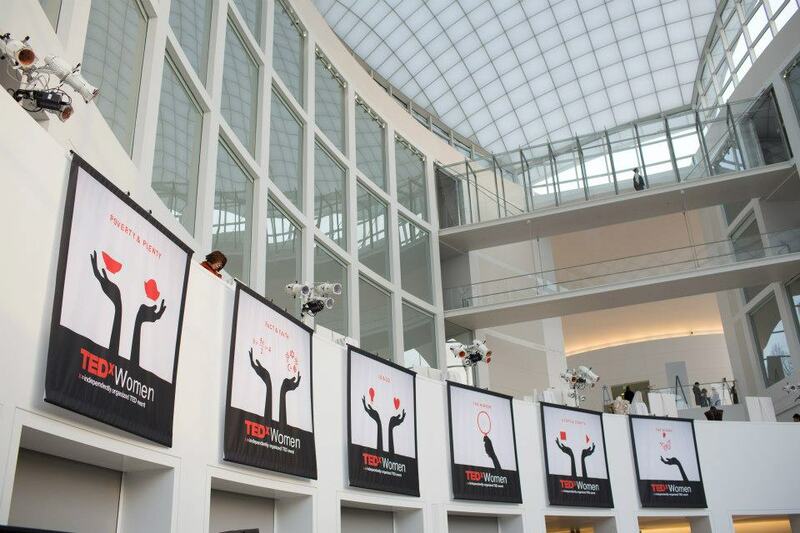 Women and men attend TEDxWomen, though, to date, women in much greater numbers. 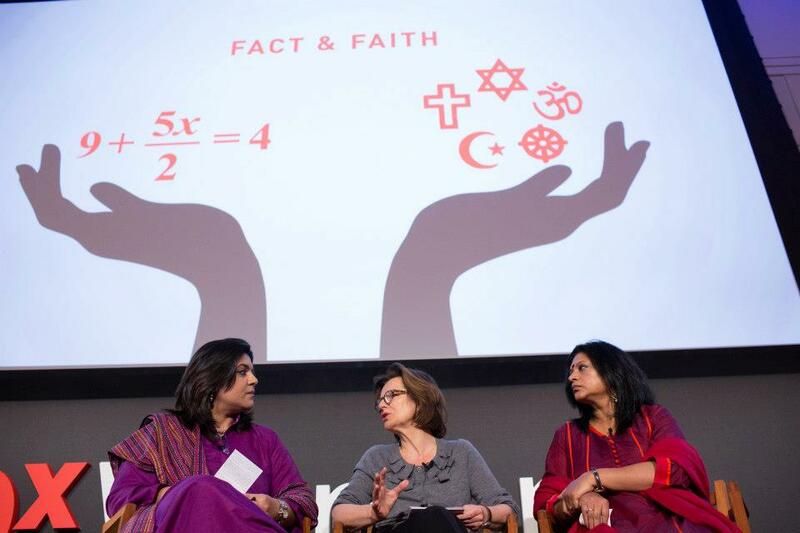 The talks at TEDxWomen are as universally relevant as the talks at TED. 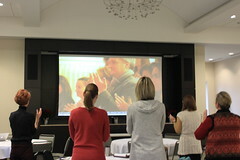 15,000 people watched TEDxWomen 2012 at various live viewing events across 53 countries. 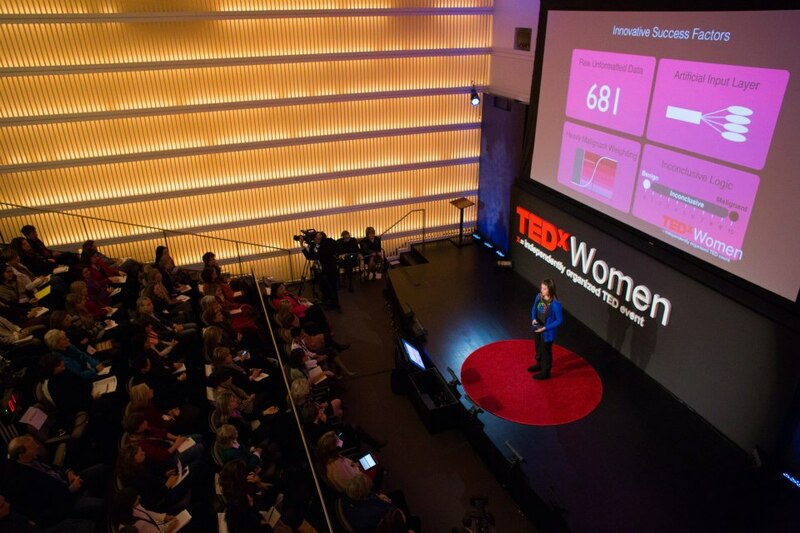 TEDWomen launched in 2010 as a TED conference. The x was added in 2011. Because of the large number of local TEDxWomen events that sprouted alongside TEDWomen, the TEDx community was thought to be a more logical home. Talks from the past two conferences have been viewed 20 million times and translated into 50 languages. 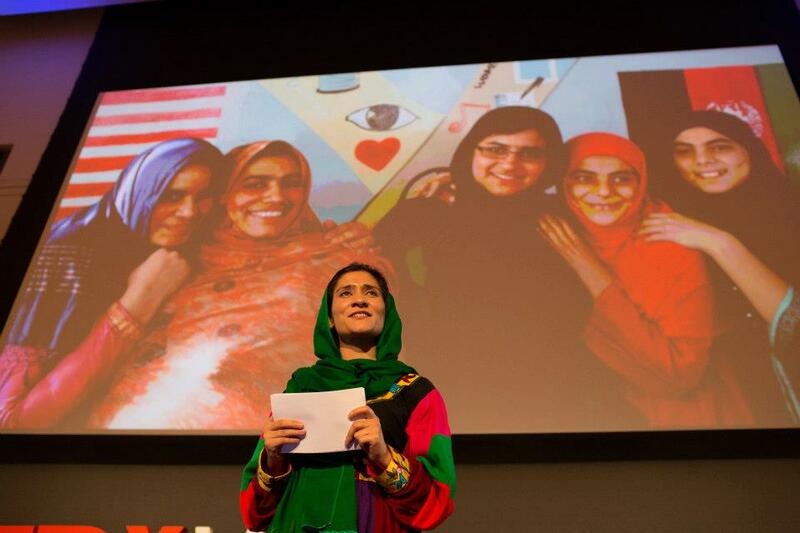 TEDxWomen is fast becoming my favorite TED-related event. 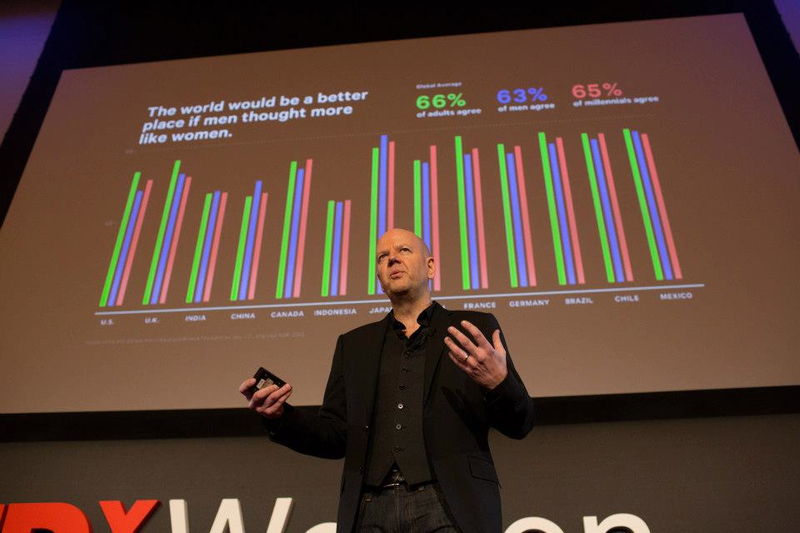 Like TED, TEDxWomen blows my mind, captivates, educates, stirs and moves me. It also has the benefits built into TEDx, namely, access to the fascinating nooks and crannies of life that (big)TED is sometimes too big to see. 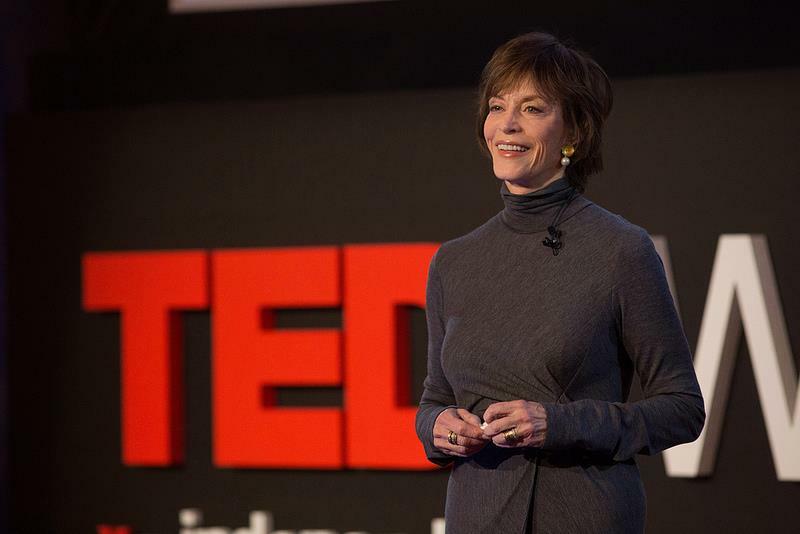 By the same token, TEDxWomen shares the realities of TEDx: less time, energy, resources—less rigor—and as a result there are some talks that don’t quite hit their mark. But where TEDxWomen beats all is the connecting. Interaction is part of the TED platform—if you attended TEDxColumbus you might remember introducing yourself to your neighbors and lunching with five (now former) strangers. 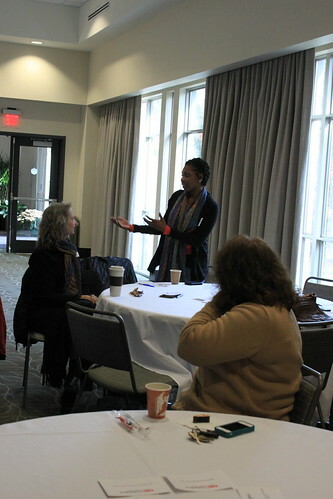 At the TEDxColumbus TEDxWomen event, this element is seamless and unprompted. For whatever reason, people tend to bring and express their full selves—not a compartmentalized professional one. As a result, discussions get rich and interesting real fast. In short, it’s fun. It also makes perfect sense for TED. Watch almost any TEDTalk and invariably the subject percolated and took shape out of this inseparable mix of passion, personal and professional. 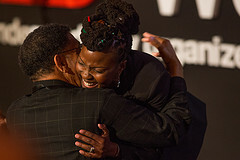 But exactly how this ease in expression and connection I see at TEDxWomen happens, I can’t say. And how to tap into it on a larger scale . . . I wish I knew. This question—how to scale-up?—came up again, in fact, almost every time a speaker shared yet another project, idea, model, theory or good work. One particularly poignant example is the counter-terrorism efforts of Edit Schlaffer, Archana Kapoor and Arshi Saleem Hashmi that enabled Pakistani and Indian women, both, to move from victimhood, and the defaults of fear and hate, to agency, understanding and empathy. Maybe you want to pause…go back, read that again. It’s quite an interesting thing to say, isn’t it? It is the basic idea of what he calls the Athena Doctrine. Surveying as many as 60,000 across the globe, Gerzema found that character traits classified as “feminine” were rated as highly important for leadership, success, morality and happiness. “Feminine values,” he states, “are ascendant.” I, personally, would love to see what more empathy, respect, patience, expressiveness and flexibility, among other traits, would do for the world. I hope he is right. But I would also like to see research on the correlation between what people say they want and what people actually do. trust me, you don’t want to miss out on meeting his grandmother. 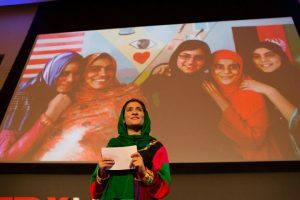 Two speakers, Angela Patton and Shabana Basij-Rasikh, share particularly poignant stories about the importance of fathers. The target of a massive online misogyny and harassment campaign, Anita Sarkeesian’s appalling, eventually hopeful, but still appalling, story is essential viewing, and her analysis increasingly relevant. The talks I mention are just a few of many that struck a chord. TEDxWomen covered a range of topics from transcendental meditation, computer programming, street art, autism, the “war” on obesity, the freedom of a wheelchair, the benefits of getting lost, and more—plus those still to be discovered as I watch the last 20 or so online. 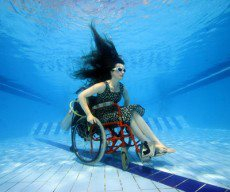 To continue her metaphor, one inspiring through-line in this year’s TEDxWomen is example after example after example of people following different stars—and the innovative and positive destinations they create. And, from 17-year-old Brittany Wengar to CEO Charlotte Beers, one thing seems clear: Counter to what women, at least American women, have been told—to check their gender at the workplace door (and men, too, to check their femininity)—these stars shine brighter when we tap into and value the full range of who we are.